Despite a sustained economic boom, long-term unemployment is a stubborn, persistent and growing problem in Australia. The onrushing wave of technological advance combined with changes to Australia’s economic and demographic make-up will have major implications for the workforce, especially for those experiencing long-term unemployment. The SVA Employment Dialogue, in partnership with Mission Australia and the Brotherhood of St Laurence, sought the experience and insight of key leaders across the sectors focused on what innovation is required to combat long-term unemployment as industries change and the job market continues to evolve. 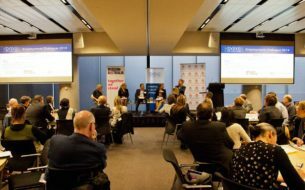 Held at ANZ Melbourne on 5 June 2014, the conversation captured the voices and experiences of over 100 people from differing backgrounds, who are dedicated to tackling long-term unemployment. The Employment Dialogue identified six principles for the innovative approaches that will be critical in designing a system that reaches its full potential. A system that creates sustainable employment for people in a rapidly changing environment. We also invite you to download and share the SVA Employment Dialogue 2014 Communique: Brighter Futures: Building better futures for people experiencing long-term unemployment in full (PDF, 760 KB). Sparking debate, showcasing best practice, catalysing new partnerships and demonstrating alternative solutions to long-term unemployment in Australia.